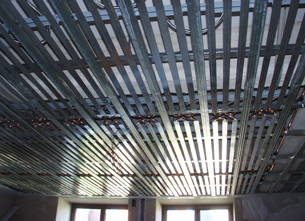 The copper cooling ceiling is a water-filled heating/cooling ceiling that operates like the capillary tube cooling ceiling mainly on the radiation principle. 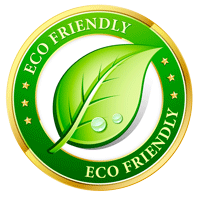 The system is primarily used in office buildings with increased fire safety requirements. 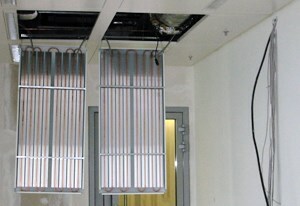 The Cu-Combi-System is a contact cooling and heating system that consists of incombustible components. It works as a water-filled ceiling system with seamless surface, which operates mainly to the principle of radiation and is characterized by a variety of application and design possibilities. The Cu-Combi-System is available in many variants: flat or curved, painted or coated, perforated or imperforated, sound-absorbing or sound-reflecting. For the active surfaces it is recommended to use a thermal insulation on the back. This system is especially suited for rooms with increased fire safety requirements. 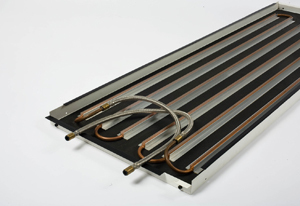 The Cu-Meta-System is a water-filled contact cooling and heating system that operates mainly to the principle of radiation and is characterized by a variety of application and design possibilities.